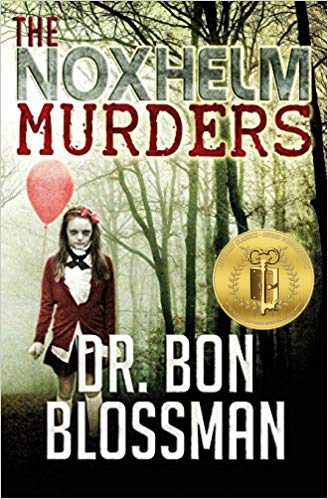 Literary Classics: The Noxhelm Murders, by Dr. Bon Blossman, earns the Literary Classics Seal of Approval. 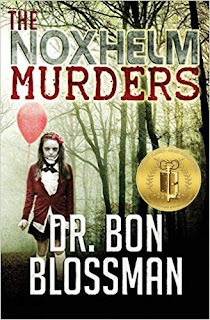 The Noxhelm Murders, by Dr. Bon Blossman, earns the Literary Classics Seal of Approval. Seventeen-year-old Shana, the child of mobsters, is relocated to Noxhelm as part of the Witness Protection Program. But the house in which her family is now living is said to be haunted. Then when a local teen turns up dead, Shana is branded as the prime suspect. But all Shana wants is to clear her name and settle in at her new school without making waves. Dr. Bon Blossman continues to entertain youth audiences with her newest book, The Noxhelm Murders. This paranormal mystery offers an exciting blend of teen romance, high school drama, mobsters and murder. Blossman’s ability to craft a thrilling teen mystery has never been more apparent than with this, her latest literary achievement. The Noxhelm Murders is recommended for home and school libraries and has earned the Literary Classics Seal of Approval.